CarteBlanche NAVIGATOR is based on worldwide popular iGO 8 navigation software. 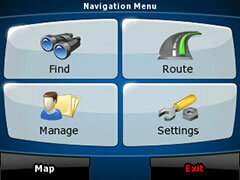 CarteBlanche NAVIGATOR is intended for use on PNDs and automotive multimedia systems. 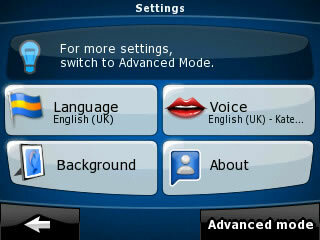 It is available to the Ukrainian users since September 2009. Software functions include route planning and detailed turn-by-turn voice guidance along the route, convenient address and POI search, POI import function, and much more. 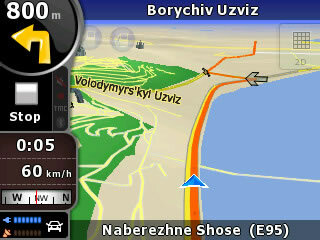 CarteBlanche™ map of Ukraine is preinstalled into the software; the user can optionally purchase additional maps of other countries, including map packages for all Europe or Eastern Europe. 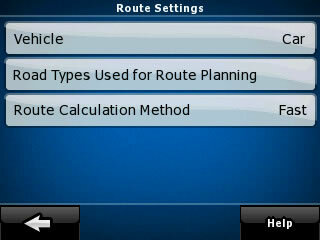 Route between different regions or countries is calculated automatically, there is no need to switch maps at state or regional borders. 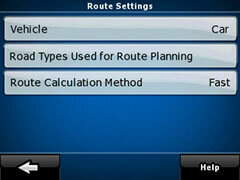 The route calculation process takes no longer than several seconds. Having an easy-to-use friendly interface, CarteBlanche NAVIGATOR software is very easy to learn. Every function or setting can be accessed through no more than one or two screen taps, regardless of where you are within the program. 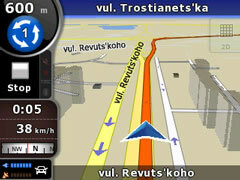 The map is available in the Ukrainian, English and Russian languages. 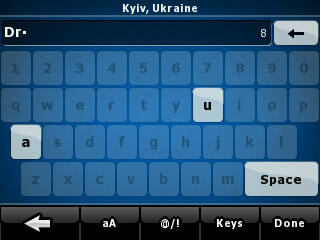 If Ukrainian or Russian is selected as the interface language, the map is displayed in the selected language. 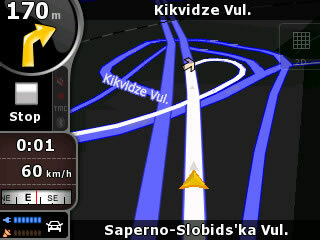 For any other interface language the map is displayed in English. 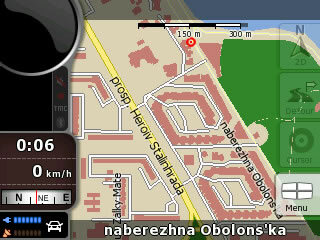 A search could be performed in any language the map supports, independently of current interface language. Voice guidance language could be chosen independently of interface language. 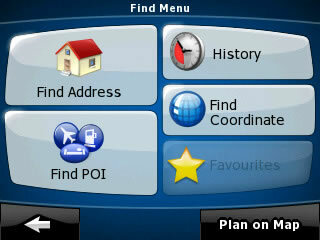 The developers have paid special attention to make software screen not only good-looking, but also easy to read under any conditions. With this purpose a function of automatic Day/Night Mode switching at sunrise and sunset is integrated into the software. Voice guidance during navigation allows to concentrate your attention on traffic and road conditions without risking to take the wrong way. A new speech synthesis is used in the software: now there are 43 voice variants in 21 languages, including 2 variants in Ukrainian and 2 variants in Russian. This list of compatible devices is approximate, it is regularly updated. 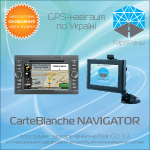 To check whether your device is compatible with CarteBlanche NAVIGATOR software, please contact our technical support service by phone +380 (44) 390-81-58, or send an email to sales@gpsmap.com.ua.